When it’s sizzling and crackling, we are on tiptoeing pathes. Home-grown minimal boy FLO PIRKE is responsible for as usual.music No. 009, and it was about time for that! After a few tracks and remixes on other labels, this is his first very own EP. The „Wheezy’n Dozzy EP“ comes up with two originals and a remix from an ambitious great artist from Spain: ENZO LEEP. 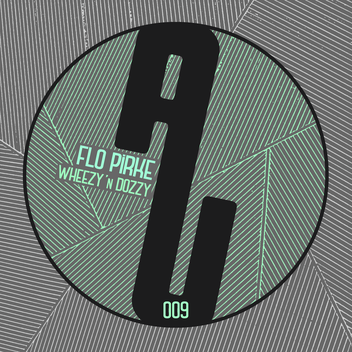 „Wheezy“ and „Dozzy“ are the interplay of contemporary stripped-off deeptech and minimalhouse tracks and getting the balance with smartly arranged subs and drum patterns. The wheezy one grumbles and fizzles along the way on intricated rhythms and shapes a moody and spheric condition, until the capsule gets cracked. „Dozzy“ does it rather light-footed: a funky trip arises with easy shakin percussions and well-implemented effects, which gives an ideal drive for moving feet. On the „Same Roots“, Enzo Leep adds exactly that vocal for „Wheezy“ into his mix and demonstrates that it’s meant what it’s said. His music has been locked into our hearts by these warm and subtle reduced sounds with releases on labels like Get Physical, Moan, Tip Tap Rec., Baile Musik, Bla Bla or his own Rewire Musik. And that’s exactly what he does here. The bass is so comfy to melt down straight away, paired with these detailed snitchy sounds and the moving snar’ish break, a gorgeous remix will conquer the floors.